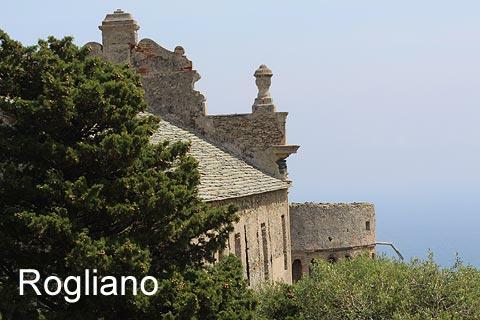 As you tour around Cap Corse, the main route crosses from east to west between Macinaggio and Centuri. 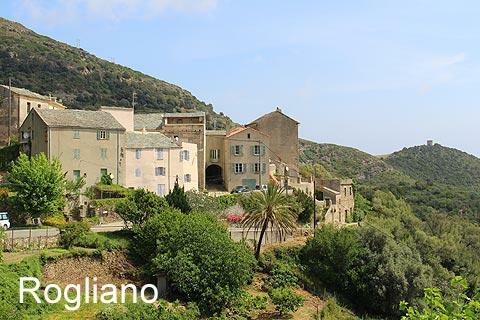 While it is possible to just follow the main road, you will be missing out on some of the main highlights of Cap Corse if you don't take the time to explore a little. Although individually the suggested destinations do not take long to explore, each has its own charms and together they make for a pleasant and varied excursion. 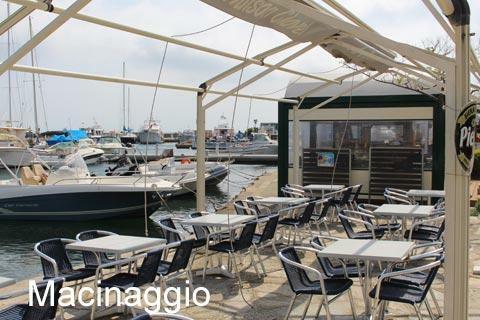 ...but remember that Barcaggio and Rogliano have limited facilities so we suggest you stop for a coffee break in Macinaggio before continuing, and buy some provisions for your picnic! 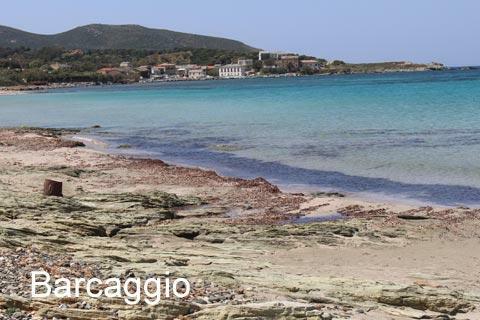 There is also a beach next to the port in Macinaggio, but for the more attractive beaches nearby you need to follow the coast path towards the north to reach the Plage de Tamarone, which usually has less dried seaweed than Macinaggio beach, the Plage de Santa Maria and the Plage Cala Genovese. The last of these is the most attractive, but will take you about an hour to reach on foot from the centre of Macinaggio. 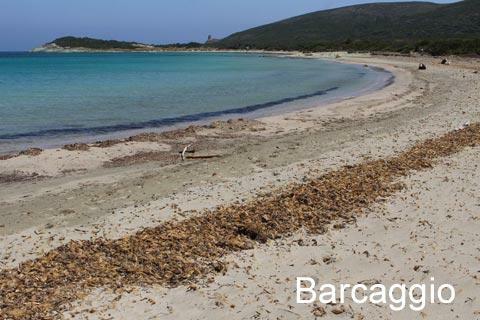 The coast path carries on as far as Barcaggio, which will take you about three hours to complete. 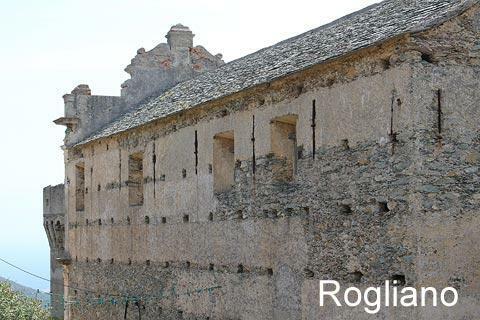 Driving west from Macinaggio, after a few kilometres you reach a turn to the right towards Rogliano. 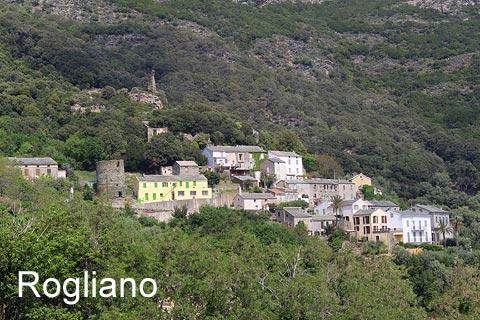 This village is one of the most attractive hill villages in Cap Corse and has several historic monuments. 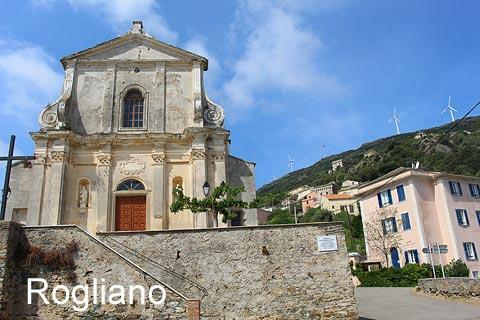 * Among these are a 15th century Genoese tower, the imposing Church of Sant'Agnellu and another ancient church. 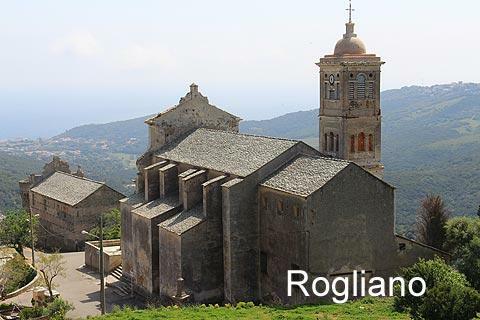 There is also a hotel-restaurant, and the terrace in front of the Church of Sant'Agnellu is a nice place for a picnic with extensive views. 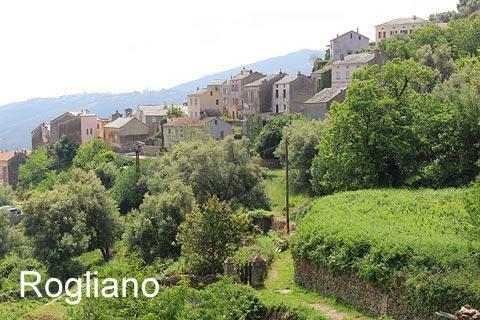 * Actually Rogliano covers quite an extensive area that includes several hamlets and a section of coast as well as the Finocchiarola islands - the village we are referring to is the Bettolacce part of the village, high on the slopes of the hill. From Rogliano, return to the main road and continue west to Ersa. Here there is a road that follows a circular route north through Barcaggio and Tollare. 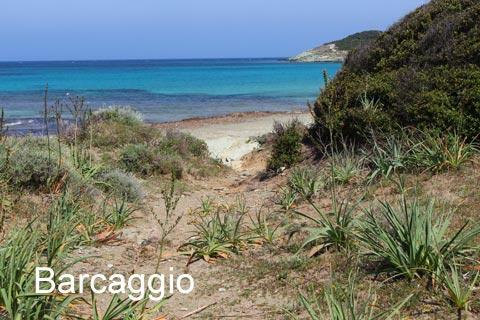 The road itself is lovely, passing through fields and maquis to reach the beach after about 10 kilometres. 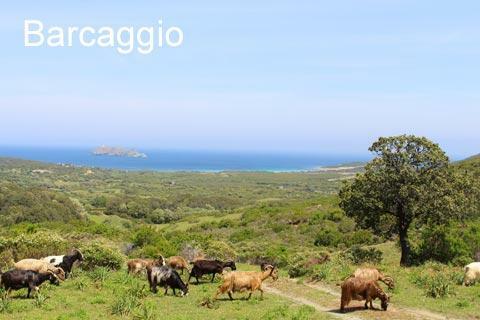 Our journey was interrupted by a large group of goats and also by several stops to take photos across the countryside to the Ile de la Giraglia in the Mediterranean beyond so took longer than expected! 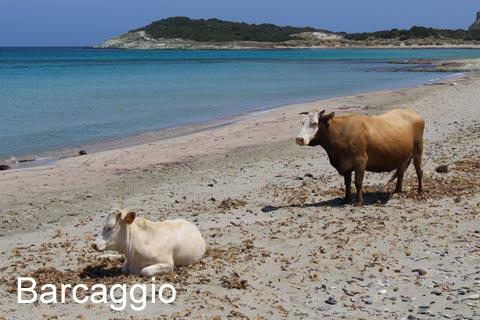 As long as you don't object to sharing a beach with a few cows, Barcaggio is one of the loveliest beaches in Corsica and backed by maquis and trees. There is also a very small group of houses here and one or two cafes. You reach the beach along a short path from the car park. 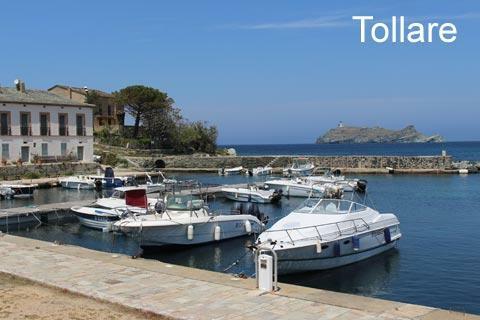 Continuing on the same road you quickly reach Tollare, a very small village with a harbour and restaurants. 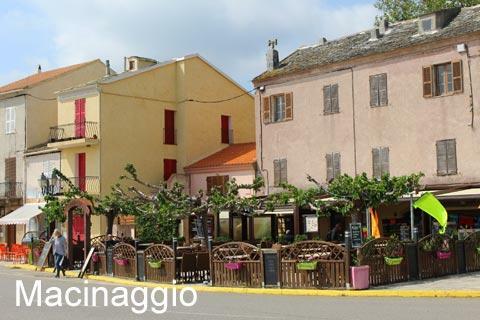 Take a stroll around the village then continue on to the main road at Ersa, about five kilometres. 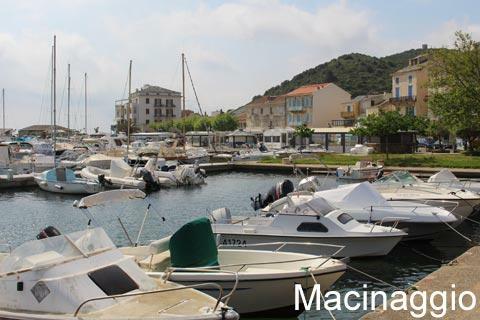 The port at Centuri , on the coast to the west of here, is the most attractive port on Cap Corse. 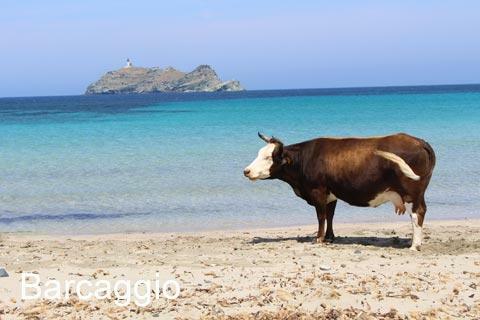 For other highlights in the region see the Cap Corse guide.